The Lincoln Common presents an elevated experience in the heart of Chicago's classic Lincoln Park neighborhood. 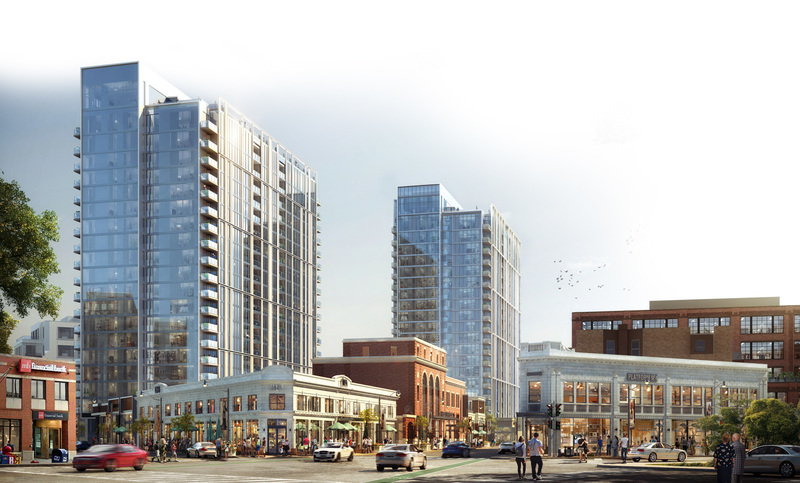 With high-quality retail, Class-A office, modern fitness offerings, attractive parks, chef-driven restaurant concepts, vibrant nightlife and more, the Lincoln Common forms a beautiful bridge between community and commerce. This is the new crossroads of Lincoln Park. Learn more about the design. Tap into the single strongest demographic in Chicago. Budding scholars and young professionals. Upscale families and affluent empty nesters. The residents of Lincoln Park embody this eclectic and diverse neighborhood, giving rise to the urban sophistication and vibrant energy which surrounds the Lincoln Common. 100,000 RSF of retail space available. Where classic architectural charm meets modern day amenities and construction, this concept is ideal for businesses looking to elevate their brand, attract an urban workforce and experience all that Lincoln Park has to offer.